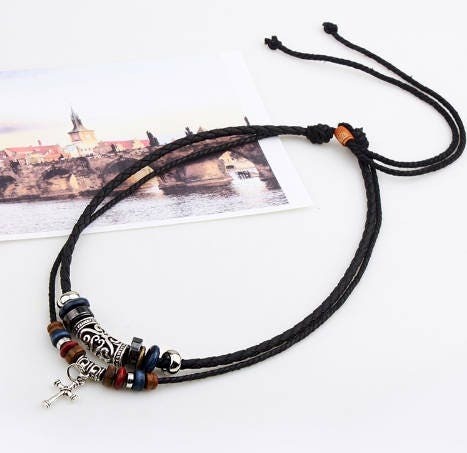 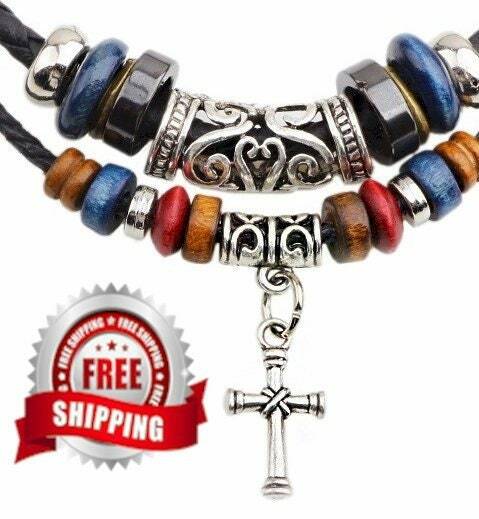 Stunning Bohemian Style 2 Strand Black Braided Leather and Colored Wood Bead Necklace with Alloy Cross Pendant has a Vintage Style with both dimension and texture. 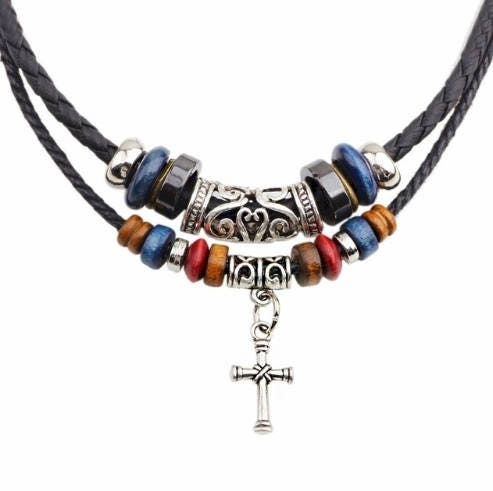 18" Adjustable Necklace. 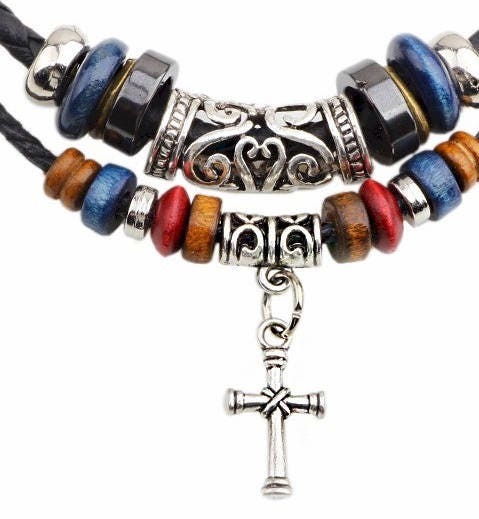 A Saint Michaels Jewelry Exclusive Design.